This walk is a continuation of the border walks which began at Birtley and follow the border through Beamish to reach the River Derwent and follow it upstream to Pow Hill. The border runs through the middle of the Derwent Reservoir to Carricks before picking up the river again. The north bank of the river is Northumberland but this is not the case at Baybridge Picnic Park which is a Durham County Council site. The reason for this is that at some time in the past the river was diverted here for a short distance. This corner of north-west Durham is especially attractive with the river flowing through a gorge to the west. We leave the picnic park by turning left onto the road and then left again to pick up the track to Newbiggin Hall. 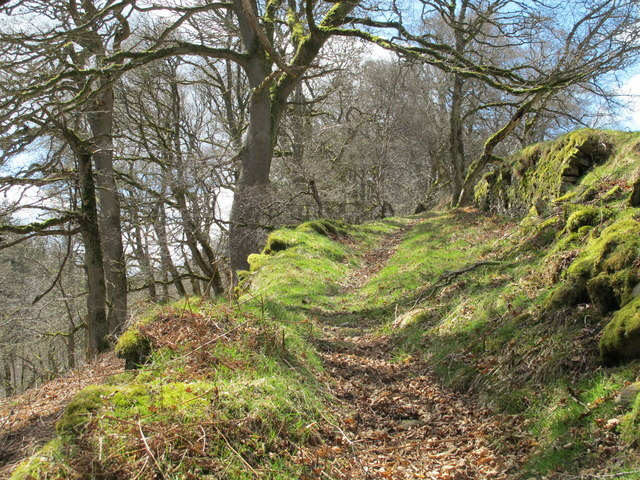 The road up the hill is an old drovers route to Pennypie as well as a packhorse route. The going is easy, broadly following the contours on the access road to Riddlehamhope to return to the river at Heathery Burn (GR 905494). Riddlehamhope is an unusual building being originally a fortified farmhouse which was modified and improved in later times although sadly it is now a ruin. The border here is the Norham Burn, a short distance to the east and this is followed south to the grouse butts to the west of Nookton Fell. It is now only a climb of about 100 feet in the half mile to the top. We continue east on the grouse shooters track to Nookton Farm which is in very pleasant surroundings looking down onto the Nookton Burn. We now follow the right of way, high above the burn to arrive at Gibraltar (GR945491). This is a delectable spot at the junction of the Nookton Burn and the Beldon Burn which join here to form the River Derwent. Vagabond, in his book “50 Weekend Walks Round Newcastle” published just after World War II says this place is a perfect Elysium and those who know his books, know full well how extensive his knowledge was of the North East countryside! It is a steep short climb up to the unique and interesting village of Hunstanworth, indeed there is no other place like it in County Durham. It is of some antiquity, being mentioned in the Bolden Book when Prince Bishop Pudsey compiled the Durham equivalent of the Doomsday Book. 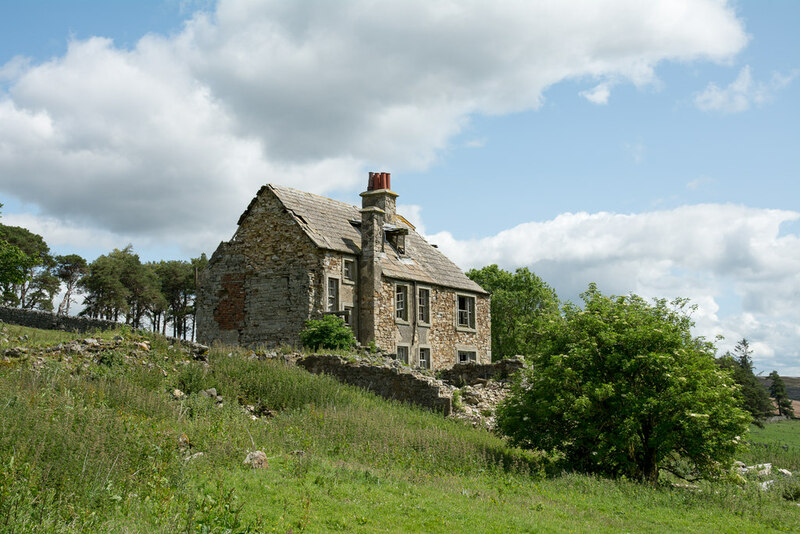 Hunstanworth is less well known than it should be and suffers from its proximity to Blanchland. 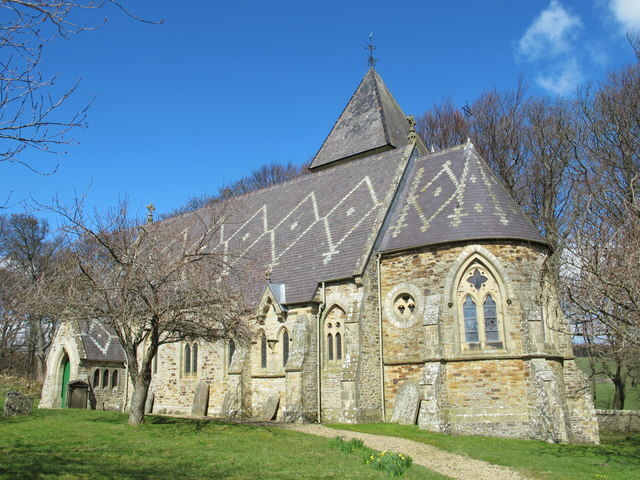 The buildings were designed by Samuel Teulon, the well known Victorian architect in 1862. His style of High Victorian does not please everyone with its angularity and the use of multi-coloured bricks and, in the case of Hunstanworth, coloured stone and different shades of slate. This style is much favoured in Burgundy in France as any of you who have visited Beaune will be able to testify. The reason that Teulon designed and built here is down to the fact that he was sponsored by the Vicar, the Rev David Capper, who resided at Newbiggin Hall passed earlier in the walk. The church of St James is interesting and the churchyard has the remains of a pele tower found more frequently in Northumberland. Many of the other buildings were designed by Teulon and others in the vicinity, and indeed further afield, show evidence of his style of architecture. Pevsner in his County Durham Guide called Teulon insensitive, hamfisted and self-assertive but has to admit that in this case he has been wholly successful! 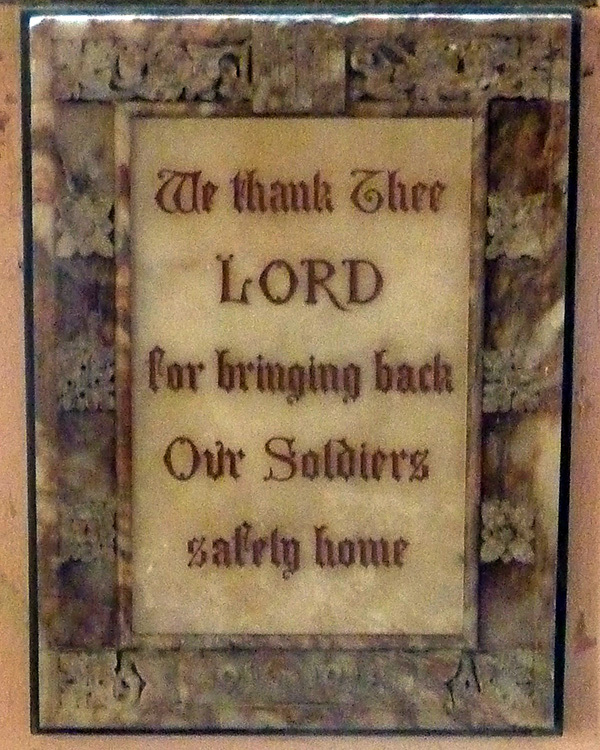 It is also worth noting that Hunstanworth is County Durham’s only Thankful Village, in that it lost no men or women during World War I. There is a plaque in the church commerating this fact. We walk up the quiet road to Townfield where on reaching the hamlet we have fine views of Boltslaw and down into Ramshaw. ln the 1800s this was obviously a very active mining area which is covered in other walks. We descend to the Bolts Burn. If time permits you can continue north-east to Allenshields and Rope Barn to drop down into Blanchland and follow the track back to Baybridge or alternatively you can follow Boltsburn down to the Stanhope road and back to Baybridge. This entry was posted on Thursday, March 15th, 2018 at 2:31 pm	and is filed under County Durham Border.